Spates of rumors on LG G3 have been making their way to website headlines these days. LG has decided to stay tight-lipped on this. As no official confirmation have been surfaced, the industry is abuzz with rumors. However, tech circuits have learned that rumors should be taken seriously as many rumors in the past have turned out to be true. When discussing LG G3, we have something more than rumors. In August 2013, LG officially showcased an In-Panel Switching LCD which is 5.5 inch in size and has a Quad HD resolution of 2560 x 1440 pixels. At that time, sources said LG G3 will use the IPS LCD Panel in mid 2014. It’s almost beyond doubt thus, LG G3 will have 2K resolution, 5.5 inch screen and IPS Panel display. ZDNet Korea predicted that LG G3 will be released in the second half of this year. This prediction is clearly in line with the recent speculations. Those speculations also suggest that the time release of LG G3 would be this year’s second half. Some sources even believe the release date is pegged for May 17. If rumors are to be believed, LG G3 will launch with a 16MP back camera. The device will have LG’s flagship Octa-Core Odin processor. It was 2013 when an agreement was signed between ARM and LG. The agreement would give LG the license to use ARM’s Cortex-A50 series processors; the processors are 64 bit capable. LG’s Odin processor will be benefited out of this deal because LG could assemble its Odin processor based on that of ARM. It has been reported by sources that LG is currently experimenting with a mobile chipset. The chipset is made by LG’s in-house technology. The same chipset bears the codename Odin. It will be available in two versions; quad-core and octa-core. The Odin processor is comprised of four Cortex-A15 processor clocked at 2.2 GHz and four Cortex-A7 processors, clocked at 1.7 GHz. While the octa-core Odin processor is said to arrive with LG G3, the quad-core Odin processor may find its place in LG Smart TV. As for the release date, May 17 is not unlikely as Google may exhibit its Nexus 6 at the I/O conference which is scheduled to take place in June this year and LG G3 would reported to be the manufacturer of G3. If this rumors turns true, we may see a lot of similarities in design between LG G3 and Google Nexus 6. LG G2 was released in 2013. After release, the Smartphone quickly got a lot of positive feedback for being feature-rich and user-friendly. The power button and the Volume rocker were on the backside of G2 unlike on the sides. This has significantly contributed to the phohe’s popularity. But despite being well-received, the phone has failed to cash in on its uniqueness. LG sold so far more than 580000 units of G2 in domestic market. The global sale was more than 2 million however. 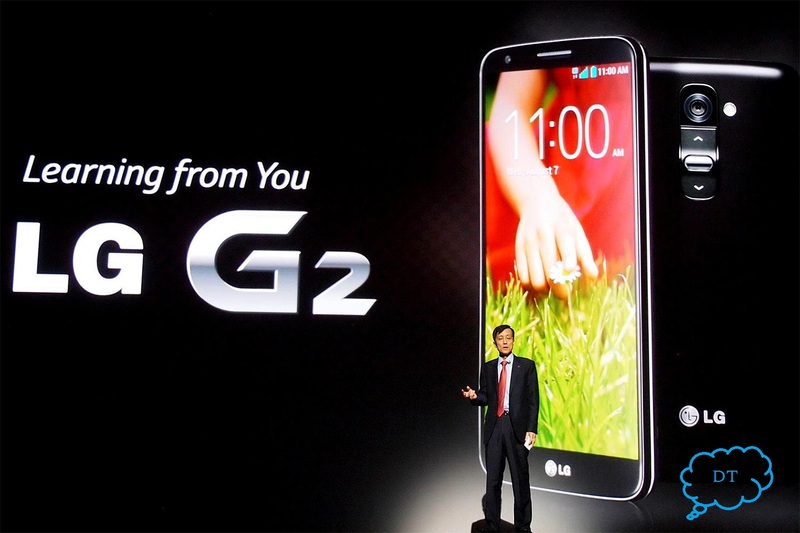 G2 has made good business, but LG was expecting it to do better. Other than G3, LG may also release G2 Mini, a small variant of LG G2. The phone could be launched for those consumers, who have budgetary constraint. I think LG has never done justice with its phones except nexus 5. Lg phones major problem is that they lack in battery backup and I expect that they will launch some phones in nexus range and that too with good battery.